Beveridge & Diamond welcomes Joshua Van Eaton, former Senior Trial Attorney in the Environmental Enforcement Section of the Environment and Natural Resources Division (ENRD) of the U.S. Department of Justice (DOJ), to our Washington, DC, office as a Principal. Josh offers firm clients strategic counsel on high-stakes litigation, civil and criminal enforcement, and compliance matters, informed by his years of experience as one of the nation’s top government environmental and natural resource lawyers. In addition to his role at B&D, he will continue his military service in the U.S. Army Reserve, where he holds the rank of Lieutenant Colonel. Lead DOJ counsel in United States v. Volkswagen AG, et al. (“Clean Diesel”), a complex CAA mobile source case arising from the alleged illegal use of defeat devices in light-duty diesel engines. The relief obtained includes the largest consumer recall in American history ($11 billion vehicle buyback program), a $3 billion environmental mitigation trust, a $2 billion zero-emission vehicle infrastructure investment, and a $1.45 billion civil penalty, the largest ever under the CAA. Lead counsel in a suit to remedy dangerous and illegal storage of hazardous waste at a chemical manufacturing facility and to recover past clean-up costs, where he also prevailed in post-trial contested motions practice with a third party over lien priority to ultimately effectuate property sale. Lead counsel in case against a regional construction company alleging over 600 violations of the Clean Water Act NPDES permit program at various construction sites, ending in a settlement that included civil penalty and injunctive relief requiring a company-wide storm water training and compliance program. Lead U.S. counsel in a case to recover remedial costs in a $400 million nuclear waste site cleanup matter. Co-counsel in a $30 million case brought on behalf of the Department of Defense against multiple petroleum companies to recover environmental cleanup costs at a defense site adjacent to an oil refinery. Lead counsel in an action to collect Superfund responses costs from recalcitrant CERCLA judgment debtors and a third party insurance company, ending in a settlement in favor of the United States for $2.225 million. Lead counsel in a Safe Drinking Water Act matter to address the threat of imminent and substantial endangerment to a potential underground source of drinking water posed by an improperly plugged oil well, ending in successful negotiation of a resolution where the well owner agreed to implement a long-term aquifer remediation system. Lead counsel in the negotiation of a CERCLA Remedial Design/ Remedial Action Consent Decree with a major petroleum company for a multi-million dollar cleanup of a legacy coking operation. Josh was named Senior Trial Attorney in 2017, capping a distinguished ten-year career at the DOJ. He received the Samual J. Heyman Service to America Medal and was named Federal Employee of the Year in 2017 in recognition of his work as Lead Counsel in the Volkswagen “Clean Diesel” emissions matter. He also has received the Assistant Attorney General’s Award for Excellence, the EPA Administrator’s Award for Excellence, and numerous other DOJ commendations and awards. Josh’s public service includes a distinguished and ongoing military career. Following his graduation from Baylor University School of Law in 2001, Josh served on active duty first as a criminal prosecutor and legal advisor in one of the army’s largest criminal jurisdictions then subsequently as a litigation attorney in the Environmental Law Division of the U.S. Army Judge Advocate General’s Corps. 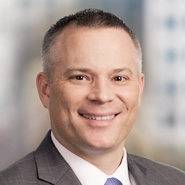 Josh currently serves in the Army Reserve as Associate General Counsel in the Office of General Counsel of the Defense Logistics Agency, where he also serves as Co-Chair of the Installation and Environmental Law Practice Group. He is also a former Senior Administrative Law Attorney in the Administrative Law Division of the Department of the Army and a former Associate Professor of Administrative and Civil Law at the Army Judge Advocate General’s School in Charlottesville, Virginia. His military awards include the Army Meritorious Service Medal awarded on multiple occasions as well as the Army Commendation Medal.